NOTES: Version two of Payload uses the same mold and accessories as verion one, but with different colors. The second version of Payload was the pilot of the Crusader Space Shuttle. 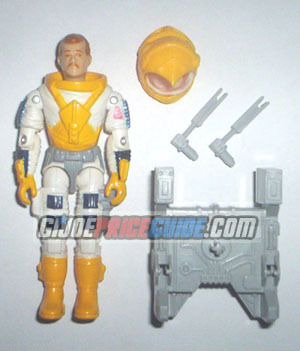 While not as rare as the first version, the yellow Payload is somewhat hard to find - especially complete with the two small grey backpack arms.